In today's society, we get a lot of mixed messages when it comes to marriage and the family. Seemingly endless numbers of self-help books line the shelves of every bookstore, but sometimes it's hard to know which sources to trust. We do know that the Bible is the ultimate source for truth. In this two-volume series, Pastor Skip Heitzig explores marriage and family issues through a biblical lens. 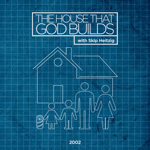 Discover God's blueprint for building healthy relationships and a godly home.